SARATOGA, Wyo. — The Wyoming Stock Growers Land Trust in partnership with Brush Creek Ranches has conserved the 10,158-acre Sanger Ranch. The Sanger Ranch, located just outside of Saratoga, Wyo., is situated along the North Platte River, in the valley between the Snowy and Sierra Madre mountain ranges. The ranch provides significant conservation values and hosts a diverse array of wildlife habitat and open space. Several rivers and streams meander through the property, including the North Platte River and French Creek. These waterways support and maintain vibrant trout fisheries, and the nine ecosystems on the ranch provide home to, mule deer, elk, pronghorn and sage grouse. 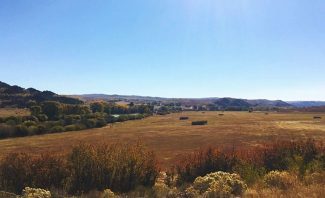 Bruce and Beth White, owners of Brush Creek Ranch, donated the conservation easement to the WSGLT to ensure this pivotal landscape will remain open and unbroken. Bruce commented, "The White family is ecstatic that we are able to preserve the beauty, character and ecological sustainability of the Sanger Ranch for generations to come … we feel privileged to be the stewards of this historic property and hope to build on the legacy established by the Sanger family." According to the Wyoming Cowboy Hall of Fame, Elijah Moore homesteaded a portion of what came to be known as the Sanger Ranch in the 1860s. Moore's great-great-grandson, Chuck Sanger lived on and managed the property until the early 2000s. The historic uses of the ranch — livestock grazing, farming hay, and hunting and fishing, continue today. However, the cattle have changed over time, from Herefords, to Angus, to Akaushi — one of four breeds collectively known as "Wagyu." The ranch is also home to bucking horses and trail horses. The Whites have also evolved the hunting and fishing business into the French Creek Sportsmen's Club, which offers nationally renowned hunting and fishing opportunities for guests.